Along with my Car Detailing and Car Valeting Services I also offer a number of additional services. 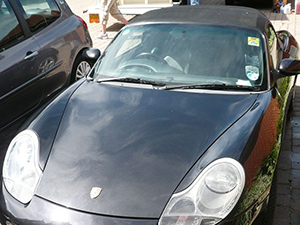 This is a specialised service that is not included in any of our Car Valeting or Car Detailing Services. 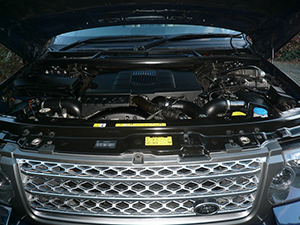 This service involves cleaning the engine with a High concentrated detergent designed to remove oil and grease from the engine bay and the insulation on the under-side of the bonnet. I do not use pressure washers as this can cause damage to electrical equipment.The full specification is set out below.Wash bonnet shuts using All Purpose Cleaner.Spray the engine with high concentrated detergent and leave for 5 minutes.Wash and polish internal paint servicesClean all plastic compartment covers in the engine compartment.Leave to dry.Dress all plastics. This service is available to any new or existing customer. Over time the sealant on your roof will deteriorate which can then cause the colour of the material to fade and leave water standing on your roof. Eventually this can result in requiring a new roof. Having your convertible roof treated will help to repel water and prevent contamination from tree sap, acid rain and bird droppings. I only use products from Gtechniq to protect and seal your roof. Available after any Car Valeting Service. Carnauba wax is a great way to protect your cars paintwork and create a slick, wet look surface that will sheet and bead water. Like sealants, waxes can be multi layered for a deeper gloss. Headlight Restoration SussexRestore your faded headlights to like new condition. 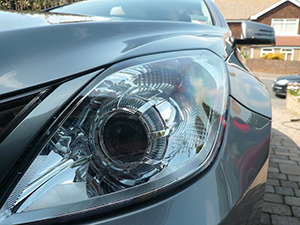 Modern headlights are made from plastics which over time become scratched, cloudy and yellowed. Reducing the effectiveness of your lights and possibly causing your car to fail its MOT. A set of new headlights can cost £100s. I use various plastic polishes and buffing pads to restore the look of your headlights. Improving the overall appearance of your car. Using air fresheners never permanently removes bad odours. With this service the area concerned is fully shampooed and if required steam cleaned. I then use an odour eliminator which eliminates all odours permanently by way of a chemical reaction at a molecular level. This includes cigarette smoke, body odour, animal smells, spilt food or drink, damp, vomit and many other organic smells.